The configuration allows you to be online in minutes. 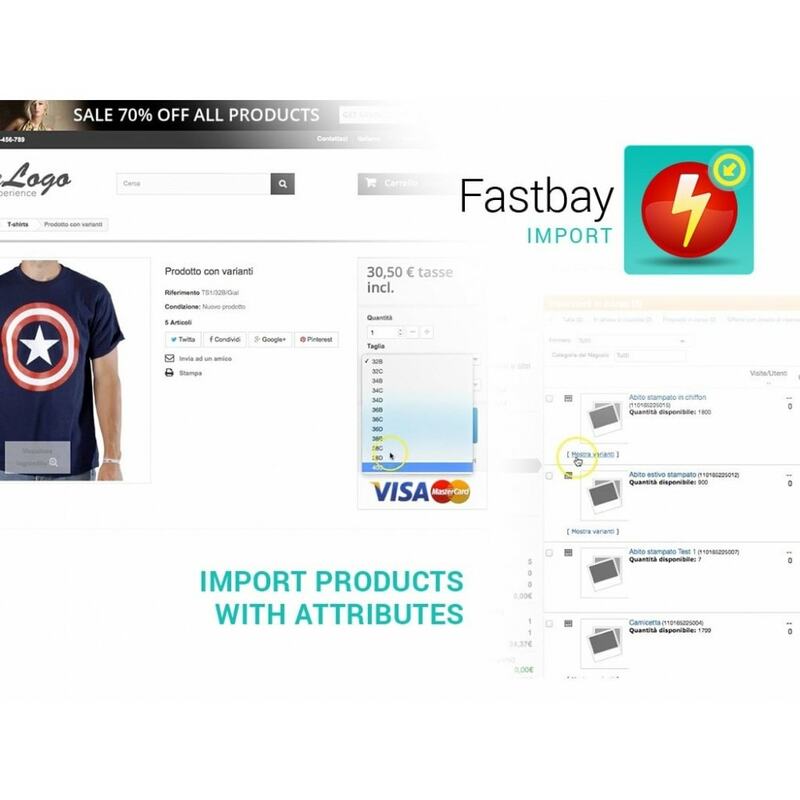 The module allows to import everything in a category of your choice, or to re-create the category tree dall'eBay Store or from those associated with eBay listings. The module allows to import both standard products and products with variations. Management ebay fields of a single product directly on the card, including custom description, price, shipping costs and EAN code. E cart - Multi-Purpose Premium Responsive Theme. It is perfect forElectronic,fashion,furniture,food,Apparels,Gift,minimalfor every type of store. If you have questions or concerns regarding the form, click on Contact the developer to get in touch with us, our team of certified developers will be on hand to help and do everything possible to help in the use of the module. We are a PRESTASHOP CERTIFIED AGENCY and offer technical support for all our modules either by telephone or by e-mail every day during office hours. 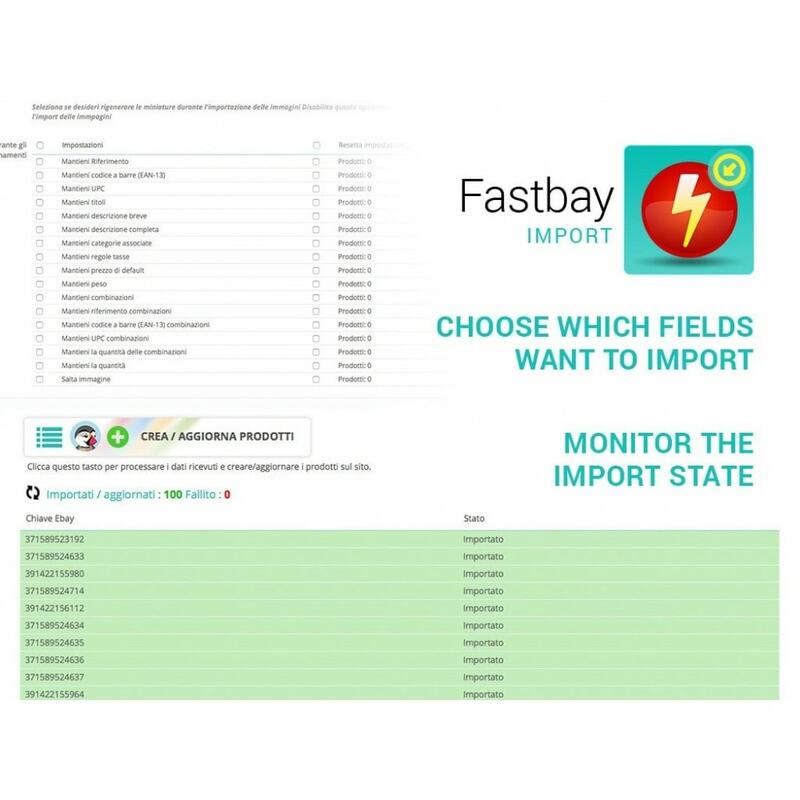 The "FastBay Import" module allows you to create or update your e-commerce starting from eBay data. 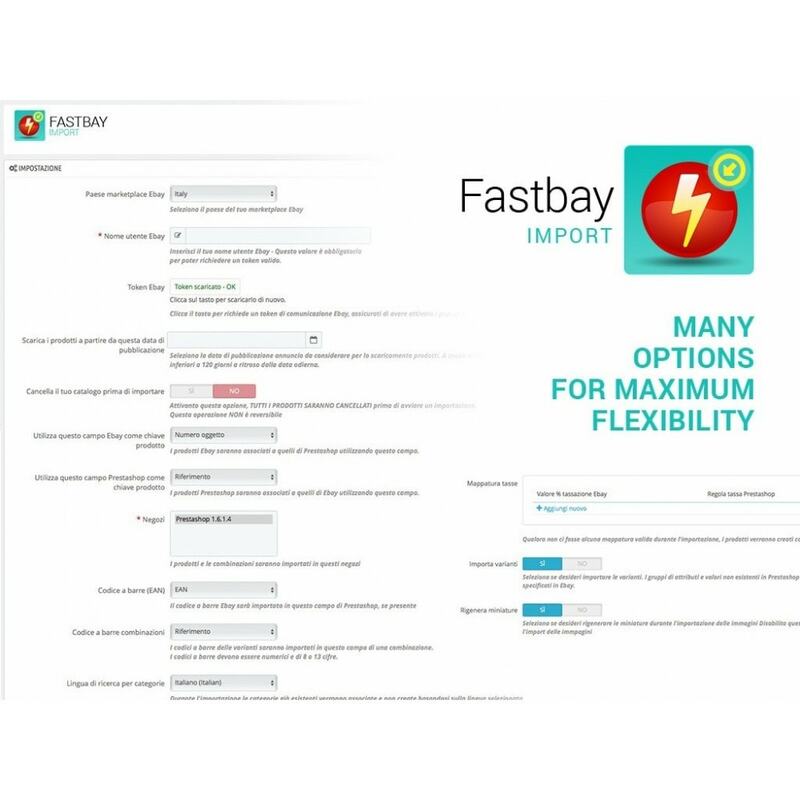 For full bi-directional control of products and orders you can evaluate FastBay, Official eBay module available on the Addons. 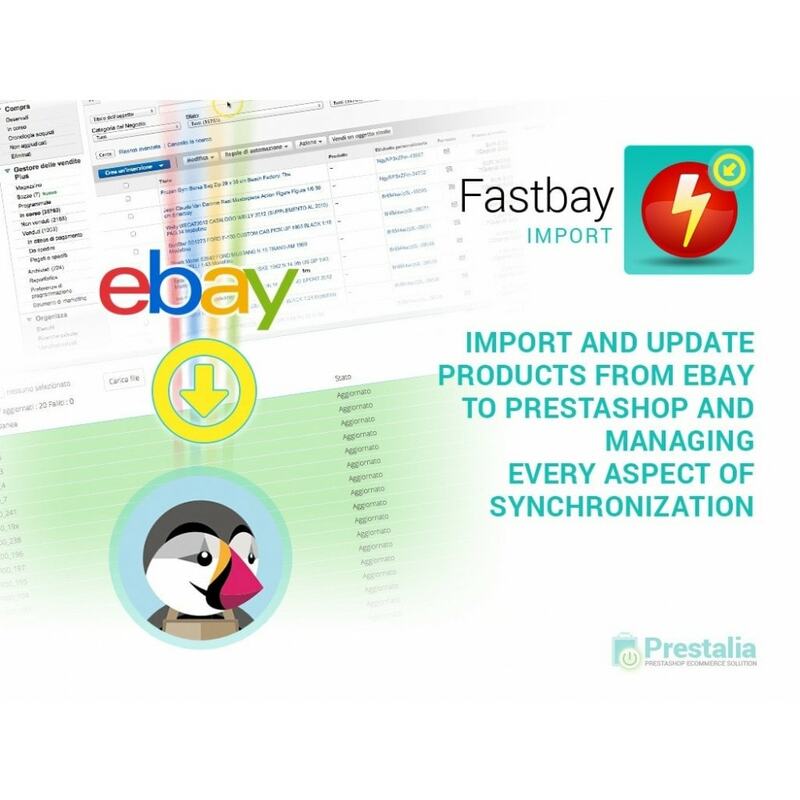 This tool is essential for professional eBay seller who wants to synchronize their products under their own store. The functionalities have been developed in collaboration with professional eBay sellers to facilitate their work and are always constantly updated according to changes eBay. Installation of the module is very simple can be installed directly from the back office. For further information, a detailed PDF guide is available. To support our team is at your disposal to answer your questions.